Recently I shifted my machine OS from Microsoft Windows XP to Ubuntu 9.0.4 (codename jaunty). This post talks about the overall experience of working on ubuntu & using VirtualBox to simulte windows on it. Read on….. I have been primarily been using Microsoft Windows for most part of my career and am therefore quite at ease with applications on it. However switching to ubuntu was pretty smooth. The installation was pretty quick & did not ask too many questions. Pre-installed Open Office could open all MS office documents (even those of office 2007), acrobat reader got working within no time. This along with mozilla firefox (which I was anyway using on windows) & thunderbird got me up and running without too much of an effort. One important difference that stood out with Windows was the way installations were done. Ubuntu comes along with a software called “Synaptic Package Manager” that can fetch and install various softwares that you would need. Before installing something, you should check if it can be found in the repositories used by Synaptic. If yes you can be assured that the installation would be pretty smooth. Having a common repository (or a number of them) where you can get all the software that you would need is something definitely different. I was pretty happy & content with my new ubuntu system before I got a visio document that I was to read. I couldn’t find any way to open the document in ubuntu. However I figured a way to boot windws from ubuntu. 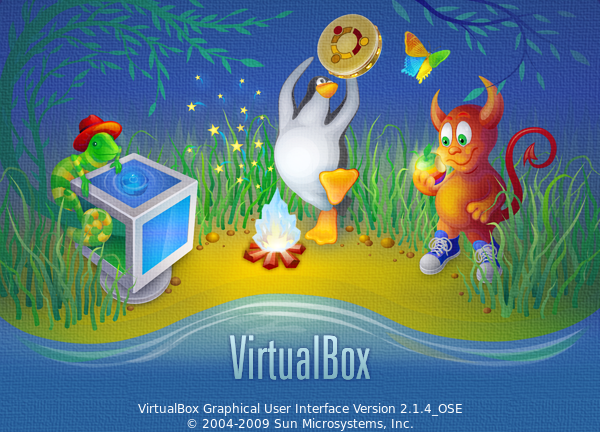 There are a couple of virtualization softwares out there that allow you to do this; However I settled with Virtual Box from Sun which allowed me to add a virtual windows machine. 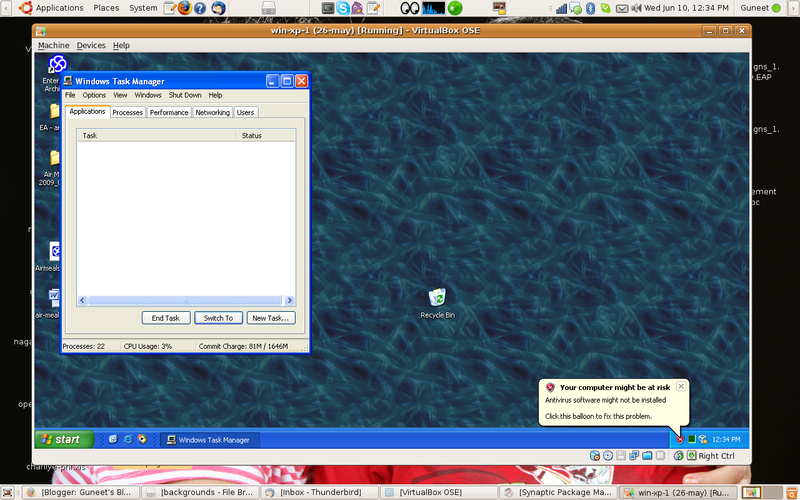 Setup of the same was really easy and could happen through Ubuntu’s Synaptic Manager (again with no questions asked). Once installed it allowed me to create a virtual machine (It required an installation CD with a valid license). Once the virtual machine was ready I could install other windows applications on it and use them. I could share documents between the root and the VM pretty easily, if required I could switch completely to the VM making it look as if I was on Windows. Pretty Neat stuff from open-source folks !!!!!!! How has your experience been with Ubuntu? Any interesting tip or problem that you may want to share?